So you've decided to do the responsible thing and buy a dual sport motorcycle. Excellent decision! Few things in this world are as important as the motorcycle that you ride and a dual sport can do it all. Surprisingly enjoyable on pavement and a down right blast on gravel roads and logging trails, dual sport motorcycles run the gamut from $25,000 luxury bikes to $1,800 "character builders". Looking for a little inspiration? Take a look at a well ridden adventure machine. Yeah, you can take these motorcycles around the world, on epic cross country road trips or just out to the woods for the weekend, but even as a daily rider a good dual sport bike will vastly improve your quality of life. Every time you walk to the garage you'll be reminded that life's boundaries are merely a function of not having the right equipment and you my friend, will have the right equipment. From a practical perspective, dual sport motorcycles make great "only" bikes. When space and or cash are at a premium, these bikes offer a best of many worlds situation. One of the reasons that I am a dual sport evangelist, is because they have the most complete "usable envelope". Yes, sport bikes are fast, cruisers have a certain aesthetic appeal and dirt bikes are great for a day of fun, but dual sport bikes let you do just about everything. Sure, you won't be doing 160 down the tarmac, but how often does a sport bike owner use that feature? And as far as exhilaration goes, try doing 80 on a $3,000 KLR and tell me you aren't white knuckling it... just a bit. Lest, you think that I am biased against any other type of motorcycle, it's the above mentioned versatility that also make dual sports great "second" bikes. It is fun to go 160 on the tarmac and it is nice to have heated grips and an iPod dock, but most situations don't call for it. Designate your dual sport as "work horse" of the fleet and use that specialty machine for when the optimal situation arises. Chances are, much of the time, you may find yourself on the dual sport. You can't go wrong with a dual sport as your "first" bike. Their relative simplicity makes them great training platforms. Traction control, ABS and fancy suspension doesn't mean anything if you're a lousy rider. Spend some time on one of these "bare bones" machines and really understand motorcycle dynamics. As a bonus, there simplicity also makes them easier to work on. Just one active riding season will make you more efficient on the road and in the garage. Both very important as you progress in your motorcycle career. 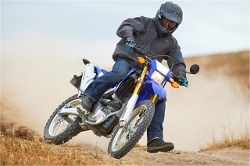 As you browse the dual sport market, the first thing that you will undoubtedly notice is that most sit considerably higher than other motorcycles. Personally, I prefer the vantage point that the extra inches afford, but if you are shorter than 5' 10'', it may take some getting used too. The good news is, most of the popular models offer simple lowering kits. While all dual sports will handle the pavement and logging roads, it is important to consider where you will be doing most of your riding. If you plan to spend the bulk of your time on the dirt, a light bike, likely under 400cc, will be easier to manipulate in the tight stuff and pick up, should you drop it. On the other hand, if you plan on using the bike to commute, or will be riding a lot on pavement, a bike with more than 650 cc may be a better choice. Generally speaking, the larger bikes are a bit more comfortable, offer better acceleration and "some" wind protection. Of course, you got interested in dual sports with the intention of making the "big trip". Maybe it's to Alaska, across the Trans America Trail, down to Ushuaia or even around the world. That's great! But just a few quick points to consider. 1. 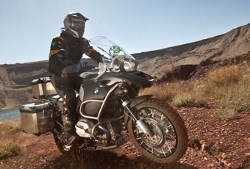 Part availability: BMW's seem to be represented the best internationally, but the number of riders on KLR's may make scrounging a viable option. Don't sweat it too much though, the world is shrinking. 2. Don't sleep on the small bikes: A good 250 can take you a long way. In my experience, down to Guatemala and across the country. As an added bonus the engine size will force you to the back roads, which is kind of the point. 3. 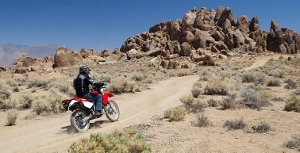 Sometimes cheap is the best insurance: If you're new to dual sport riding, you may experience a few dirt sandwiches in your first few thousand miles, until you get a little better aquainted with riding off the pavement. Before you launch into a new, expensive machine, consider a small used bike to get started with. Then ride it like you stole it! Hands down these seem to be the favored round the world machines. Beautifully engineered and reliable, it's not uncommon for these bikes to top 100,000 miles. The downside of course, is that they can be a bit pricey. Some older technology to be sure, but that is not without its benefits. 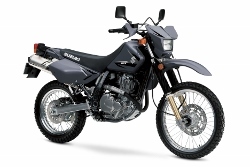 The 250 and 650 are straight dual sports, with single cylinders and air cooled engines. The NC700X offers more refined street performance and with the proper tires, will take you everywhere but the single track. Like the Honda's, Kawasaki's haven't changed much through the years. All models are liquid cooled, which some people like and some people don't, but you really can't go wrong with a Kawi. 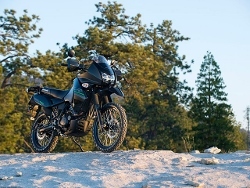 The KLR650 is easily the most popular dual sport. 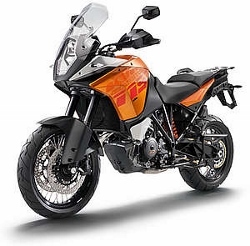 Hot on the heels of BMW for the crown of "Luxury" adventure bike, KTM's really rip. They tend to be a little lighter than similarly sized bikes and are really great all around performers. AA lot to choose from here. The DR models are classic dual sport. Air cooled, single cylinder engines and rock solid reliability. The 200's are best served on the farm or in the neighborhood, but the rest will take you anywhere you want to go. The V-Strom's are more street oriented, but maintain a very large following. The Yamaha WR250R is easily considered the best 250 on the market. A look at the specs and you'll see 650 type speed numbers at almost 25% less weight. Liquid cooling and fuel injection make the WR extraordinarily consistent and dependable, but you do pay a premium for it. And once you get your bike, don't forget to check out the great resources below.